The UFC rankings have been updated following UFC London! Check out all the changes below! Pound for Pound: Kamaru Usman has moved up one spot to #8, pushing Conor McGregor down a spot to #9. Flyweight: Bantamweight champ T.J. Dillashaw moves up to now be tied for the #9 spot with Rogerio Bontorin. 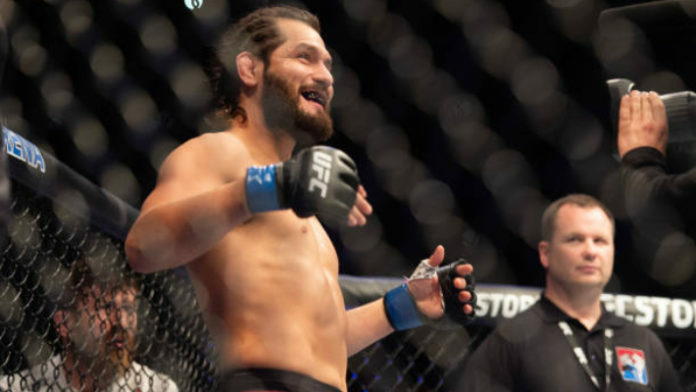 Welterweight: With Jorge Masvidal knocking off the #3-ranked Darren Till, the rankings at 170 look quite different than they did heading into the event. The biggest change is Jorge Masvidal, who skyrocketed up six spots to the #5 ranking, with Darren Till plummeting down four spots to #7. This has caused Rafael dos Anjos (#4) and Stephen Thompson (#3) to each move up one spot. Meanwhile, Santiago Ponzinibbio (#8) and Robbie Lawler (#9) fell one spot. Leon Edwards remains locked at #10 after his victory over Gunnar Nelson, but Nelson fell one spot down to #14. In other changes, Demian Maia fell two spots to #11, and Elizeu dos Santos rose to #13. Lastly, Vicente Luque has appeared in the rankings at #15. Light Heavyweight: Following his controversial win over Volkan Oezdemir, Dominick Reyes climbed five spots up to #5, sending Jan Blachowicz (#6), Volkan Oezdemir (#7), and Corey Anderson (#8) down one spot respectively.